March 19, 2019 / Atlanta, GA – It is with heartfelt gratitude and admiration that we announce the upcoming retirement of our phenomenal executives, Kathy London, Founding Partner & CFO and Jim Jancik, President and Managing Partner. Effective April 1st, 2019, both Jim and Kathy will transition out of their current roles to become Advisory Consultants for ROI. 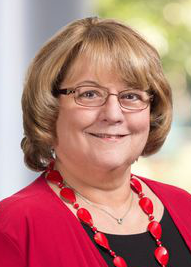 In 1999, Kathy London’s passion for a no-drama culture of project management professionals materialized into ROI Healthcare Solutions. With 20 years of corporate consulting background in healthcare and finance, Kathy had been exposed to it all. She understood how to deliver with quality and along with three other partners, created an environment that nurtured high performance without the ego. In addition to Kathy’s deep finance and operational expertise, she has earned the respect and adoration of the entire ROI team, which has grown from four to over 100 people over the years. ROI is both saddened by the void created by Kathy’s transition and so elated that she is able to enjoy life reaping the rewards of the blood, sweat, and tears that she has poured into this business. 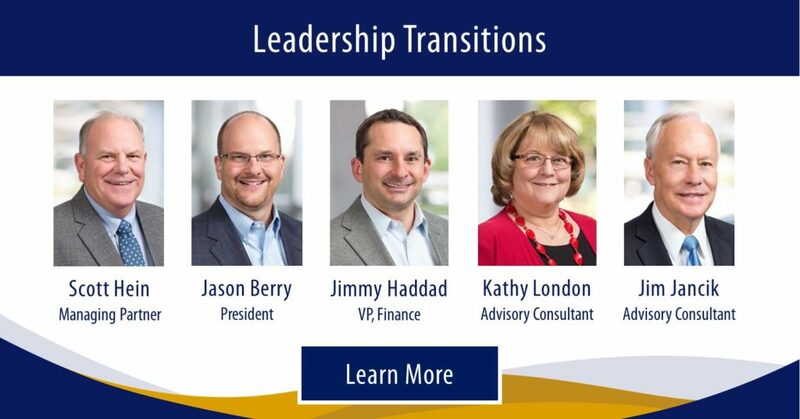 Effective April 1st, Kathy’s successor in finance will be Jimmy Haddad, who has been a part of our ERP Practice for several years. Please join us in acknowledging 20 years of devotion from Kathy London and the elevation of Jimmy Haddad as our VP of Finance. The second half of this announcement pertains to our admirable President and Managing Partner, Jim Jancik. 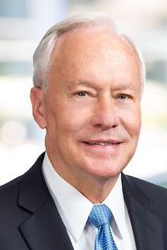 After his 30 years of leadership with several large organizations including IBM, HBO/McKesson, and Ernst & Young, Jim joined ROI over 10 years ago to expand our go-to-market strategy and capitalize on the thriving ERP and application support markets in healthcare. Jim has led ROI thoughtfully, strategically, and pragmatically as a key driver of our success and growth. Jim has consistently demonstrated humility, a caring attitude, high quality performance, and true leadership across our company. While Jim will be deeply missed by every one of our team members, he has put in the time and attention to establish a thriving business and organizational platform with a great future ahead. Jim’s role will be succeeded by Scott Hein, Co-founding Partner, to assume the role of Managing Partner and Jason Berry, to assume the role of President. Both Scott and Jason have been critical leaders at ROI for years and are committed to carrying the torch forward as Jim approaches his retirement. While we all applaud Jim and Kathy as they prepare for their next chapters, ROI’s structure, business model, culture, and expertise remain strong. The demand for our services is higher than ever. We continue to stay true to our foundation of strong culture, deep expertise, passion, teamwork, and value. ROI Healthcare Solutions is healthcare’s trusted IT Services Partner, founded in 1999. We save clients time and money, creating clinical, operational, and financial excellence through ERP and EHR initiatives. ROI offers industry-centric project management, consulting, implementation. optimization, support, and staffing services. Our leadership is committed to delivering quality services with highly engaged team members to clients who appreciate long-term partnerships. We are recognized by both Inc 5000 as a fast-growing private company and Modern Healthcare as a Best Place to Work in Healthcare. ROI focuses on managing, implementing, and improving clinical, revenue cycle, technical, and reporting systems, such as Cerner, Siemens, AllScripts, McKesson, Epic, and Meditech. We are Best in KLAS in Partial IT Outsourcing with a score of 95.7. We are a Cerner Preferred Collaborator with multiple resources going through the Revenue Cycle certification process. Our core offerings center around project management, legacy support, application management/shared services, data migration/extraction, and decommissioning services. Our proven methodologies are applied to create smooth transitions of people, processes, and systems for healthcare providers across the country.